Iran’s military has successfully test-fired two new domestically made missiles, the defense minister said on Monday according to state television, ahead of talks with world powers to try to reach an agreement on curbing Tehran’s nuclear program. “The new generation of long-range ground-to-ground ballistic missile with a fragmentation warhead and the laser-guided air-to-surface and surface-to-surface missile dubbed Bina (Insightful) have been successfully test-fired,” state television quoted him as saying. 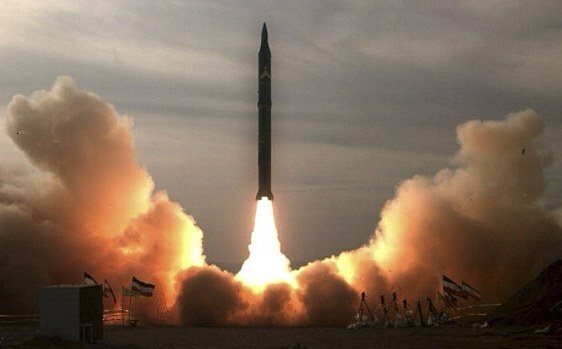 Iran already has long-range surface-to-surface Shahab missiles with a range of about 2,000 km (1,250 miles) that are capable of reaching Israel and U.S. military bases in the Middle East. However, analysts have challenged some of Iran’s military assertions, saying it often exaggerates its capabilities. President Hassan Rouhani issued a congratulatory message saying: “Iran’s children successfully test-fired a new generation of missiles,” the television reported. The decision to carry out the test may be a sign of Iran’s political infighting. Rouhani was criticized by a group of hardline lawmakers on Sunday for blocking a planned missile exercise. However, it was not immediately clear whether the test on Monday was the same one.